EDINBURG — Junior Chase Adams struck out a career-high nine batters, but the UTRGV baseball team fell to New Mexico State 4-2 on Friday at UTRGV Baseball Stadium. 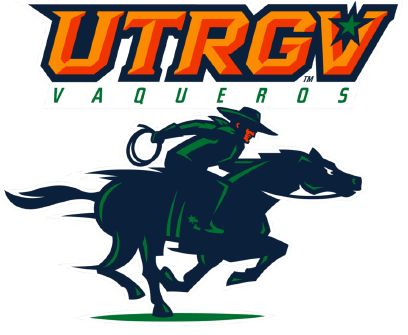 The loss drops UTRGV to 22-31 overall and 7-16 in WAC play, eliminating the Vaqueros from contention for a top-six finish in the WAC and a berth in the conference tournament. Adams (5-5) pitched seven innings, allowing four runs (two earned) on seven hits without walking anyone. NMSU (36-18, 17-6) scored on a first-inning solo home run by Caleb Henderson, a seventh-inning solo home run by Nick Gonzales, and a sixth-inning error that brought in two runs. Jonathan Groff (10-2) retired the first 12 UTRGV hitters he faced. UTRGV strung together its first three hits with two outs in the seventh, when, with sophomore Coleman Grubbs at second base, senior Ivan Estrella hit an RBI single, junior Ryan Fish singled, and senior Isaac Gonzalez hit an RBI double to knock out Groff and bring UTRGV within 4-2. Brock Whittlesey recorded the final four outs for his 10th save. UTRGV closes out the season against NM State at noon today. The senior day ceremony honoring Cris Castillo, Estrella, Jorge Flores, Gonzalez, Carter Johnson, George Lamb, Noah Lee and Austin Siener gets underway at 11:35 a.m. Gates open at 11.